Electrical junction boxes and connectors, from 2 to 100 Amps. 13A 3 terminal connector, with inbuilt cable clamp. 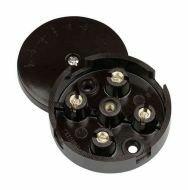 10 way 15 Amp / 15A connection unit, complete with lid. Commonly used for wiring heating control systems, though useful for all sorts of applications. Ceramic terminal connector block 15 Amp / 15A 3 way. For high temperature applications (maximum 350C). 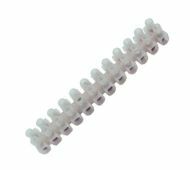 Strip of 12 insulated connectors, rated for 15 Amp / 15A. Use a sharp knife to split up the strip. 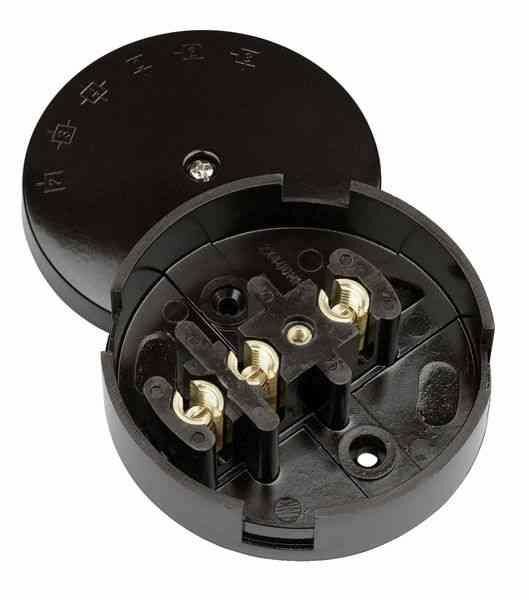 20 Amp / 20A junction box with 4 screw terminals (useful for lighting circuits). Made to the British standard BS6220. Strip of 12 insulated connectors, rated for 2 Amp / 2A. Ceramic connector block 30 Amp / 30A 1 pole. 30 Amp / 30A junction box with 3 screw terminals inside. Strip of 12 insulated connectors, rated for 30 Amp / 30A. 5A 2 terminal connector, with internal cable clamp. 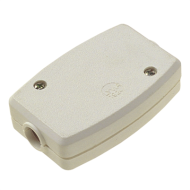 Ceramic terminal connector block 5 Amp / 5A 3 way. 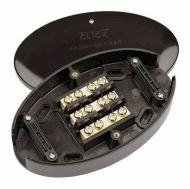 5 Amp / 5A junction box with 4 terminals (useful for lighting circuits). Strip of 12 insulated connectors, rated for 5 Amp / 5A. This Click WA222 heavy duty 60 Amp / 60A junction box can accommodate 6mm cooker cable and 6 and 10mm shower cable (max cable size is 25mm). Strip of 12 insulated connectors, rated for 60 Amp / 60A. Install a strip connector (not included) in this handy box to make a great cable joint. 2 pin Duraplug inline connector. Very popular for garden electrical cables. 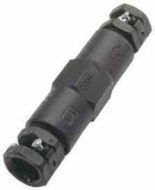 Weatherproof cable connector for repairing or extending outdoor cables up to 3 core 2.5mm. 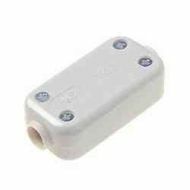 IP67 rated - can be temporarily submersed in water.